Appreciation and understanding of the natural environment surrounding us begins at a young age. Kinderland has always been a strong advocate of hands-on learning and we believe that children can make a difference. With Earth Day (April 22) approaching, here are ways Kinderland has taught preschoolers the importance of caring for the environment, which can also be continued at home as a family. Learning should expose children to new experiences where they can gain knowledge about environmental protection from a first-hand point of view. By going on excursions in collaboration with Kinderland’s partners such as Wildlife Reserves Singapore, preschoolers understand animal and nature conservation by interacting with experts in the field. 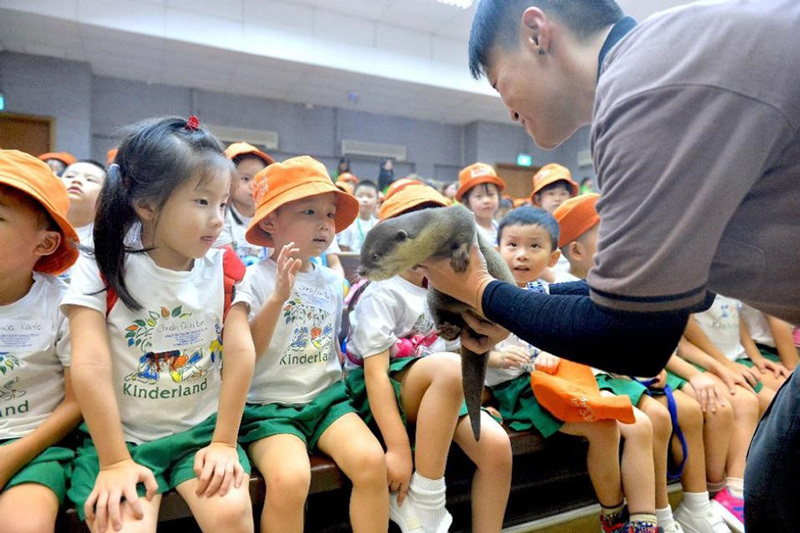 In recent years, Kinderland has embarked on the ‘I Love Otters’ and ‘I Love Pangolins’ carnivals that create awareness and raised funds towards conserving Singapore’s endangered native wildlife. Kinderland preschoolers kicked off the ‘Together For Wildlife’ campaign, 200 preschoolers walked the Singapore Zoo to play their part to raise public awareness on the importance of preserving wildlife and biodiversity. 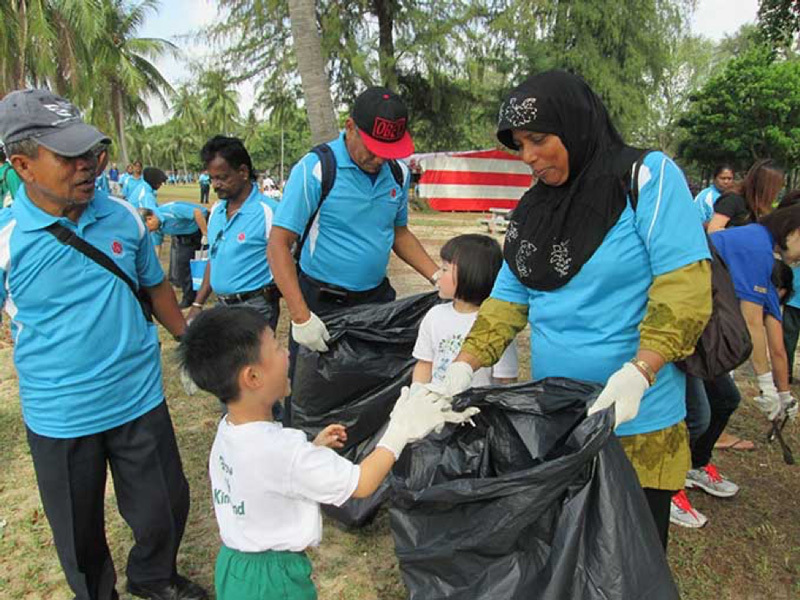 Kinderland preschoolers also joined the AUPDRW (Public Daily Rated Union) in their Beach Cleaning Initiative. Children see first-hand how littering harms our environment and by picking it up, they do their part for the environment, which fills them with great pride. Preschoolers plant their own herb gardens and vegetable plots at Kinderland Yio Chu Kang. This teaches the value of responsibility by having them care for the environment they are in, while making learning interesting and interactive. Earlier this year, taps were turned off across 44 preschool centres as part of World Water Day to promote water conservation. On that day, Kinderland preschoolers experienced a water rationing exercise for the first time and were taught how to save water in their daily lives. Kinderland believes in the continuity of learning and the importance of involving the family in a child’s education. Parents can develop a child’s habit of recycling at home and this is further reinforced in schools where children are encouraged to reuse, reduce and recycle. For Earth Day, preschoolers created a journal where, together with their family, documented their green efforts and later shared it with the class. There were also recycling projects spearheaded by both parent and child that encouraged them to upcycle materials to make washing machines and terrariums! During down time, watching animated movies with stories about the environment such as WALL-E and Happy Feet can help to draw a closer connection to children. Movies like these strike a chord in their hearts and spark meaningful discussions.